Marilene Handy married Benneth Beardslee. Benneth Beardslee married Marilene Handy, daughter of Everett Ellsworth Handy and Clara Darling. Julian F. McClave married Alice Mary Handy, daughter of Willis John Handy and Imogene McCann. Gail Anne McClave married Louis R. Davey. Louis R. Davey married Gail Anne McClave, daughter of Julian F. McClave and Alice Mary Handy. Corinne Esther McClave married Albert Diener. Albert Diener married Corinne Esther McClave, daughter of Julian F. McClave and Alice Mary Handy. Mae Warren married George Edward Handy, son of Willis John Handy and Imogene McCann, in Jan, 1935 at South Bend, IN, USA. Richard George Handy married Grace Schaeffer in 1959 at HI, USA, while stationed in the U.S. Navy. Grace Schaeffer married Richard George Handy, son of George Edward Handy and Mae Warren, in 1959 at HI, USA, while stationed in the U.S. Navy. Colonel Stanley Frank Jacobs married Esther Handy, daughter of Willis John Handy and Imogene McCann, in Sep 4, 1934 at Alngolam, IN, USA. 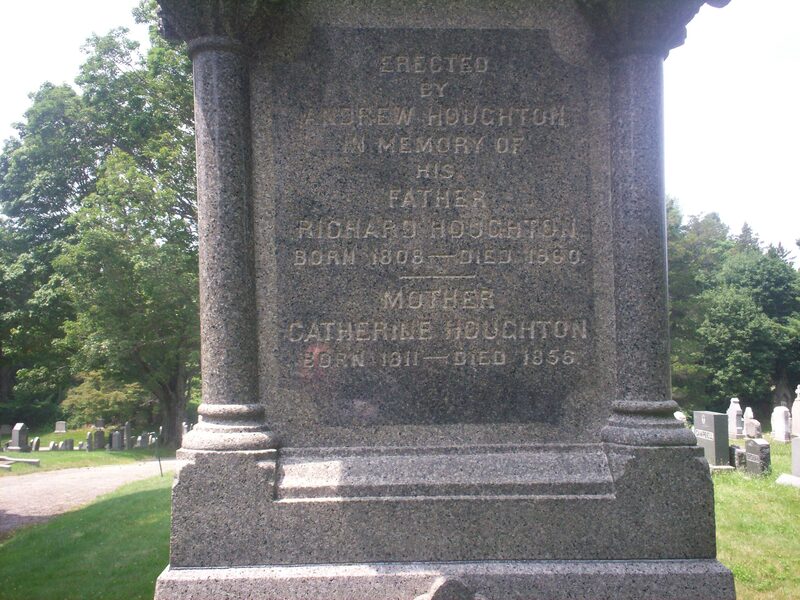 Richard M. Houghton married Catherine Kelley in Jun 13, 1840 at Boston, Suffolk Co., MA, USA. 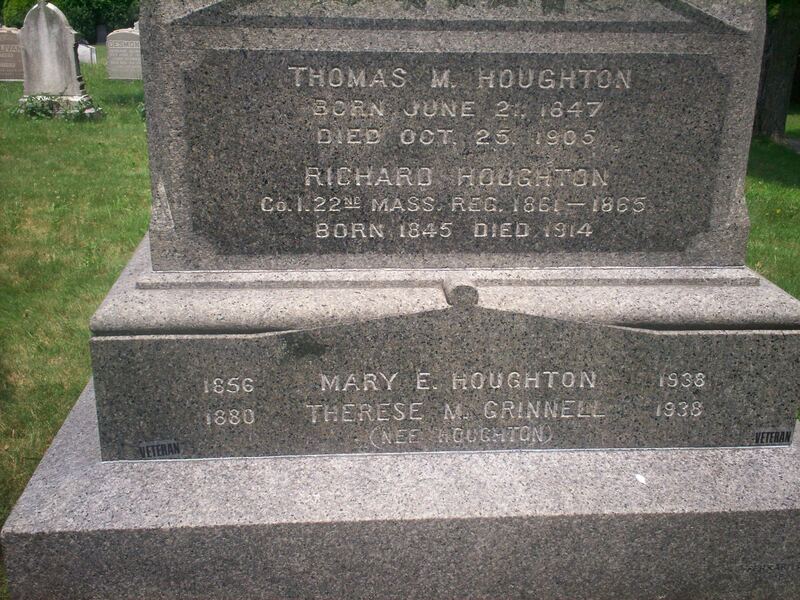 Richard M. Houghton married Bridget Turrill in Oct 25, 1855 at Boston, Suffolk Co., MA, USA, Richard Hooton, E. Boston, 45, 2nd mar; Bridget Bradley, age 30; her father, Edward Turrill. Richard Houghton married Mary E. Walsh in Aug 3, 1874 at Anne Arundel, MD, USA, mar 26 y in 1900 census; mar 35 y in 1910 census. Arthur Joseph Houghton married Sally K.C. Fisher in 1912 age 35 and 29. Sally K.C. 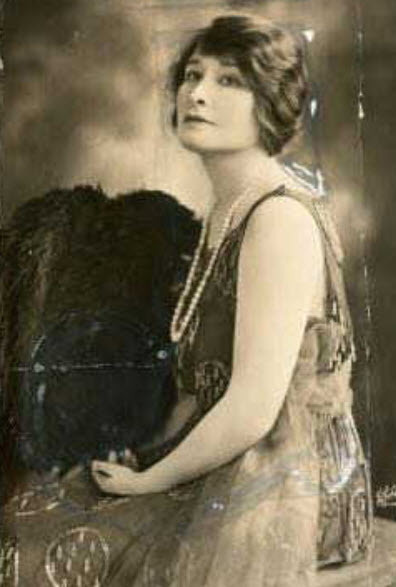 Fisher married Arthur Joseph Houghton, son of Richard Houghton and Mary E. Walsh, in 1912 age 35 and 29. Thomas Michael Houghton married Catherine M. Noonan in Aug 5, 1885 at Boston, Suffolk Co., MA, USA, w/1; mar 15 y in 1900. Doris Ella Gilliat married John Carothers Handy, son of Charles Herbert Handy and Minnie Carothers, in Oct 20, 1935. Margaret Jean Handy married Fred Pettijohn.